Thank you for checking out the Webinar Replay Room! This page hosts the previous webinars hosted by BiggerPockets. 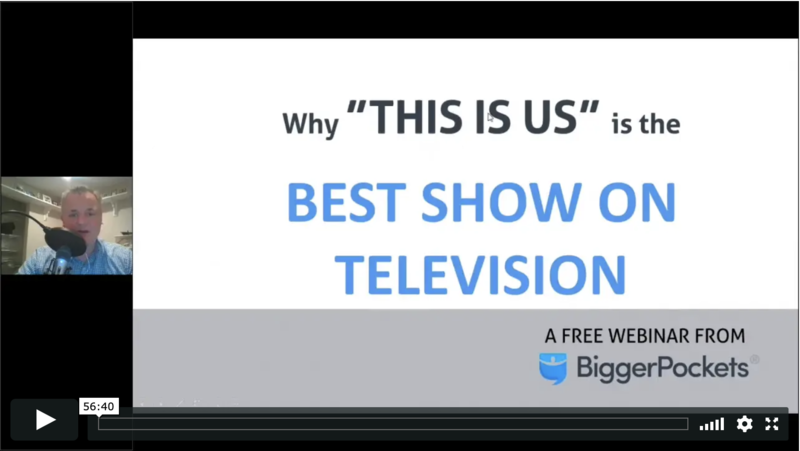 To access these videos, you must be a Pro member on BiggerPockets. If you're not a Pro, you can watch any of the webinars live, for free, the day they come out. 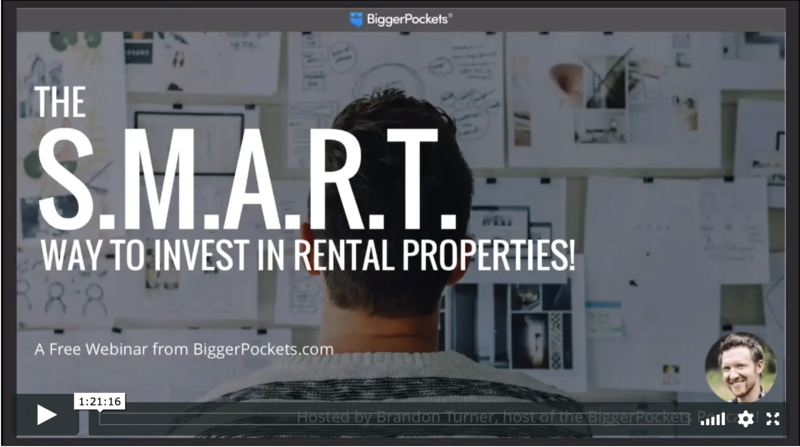 To sign up to attend the next BiggerPockets Webinar, click here. Don’t waste years of life (and tens of thousands of dollars) “trying"""" to figure out how to invest in rentals. Come to this online class and see exactly how to get started - the SMART way! So many people get into real estate investing to build THEIR wealth. And yes that is certainly the goal for many of us. However, another equally important goal is to build the wealth of your private money lenders! If you can build their wealth as you build your own, you will have all the money you need to fund your deals for life. In this jam packed free webinar, Matt Faircloth (Author of BP’s new book on Raising Private Capital) is going to help you gain the confidence you need to buy rentals and/or flips by using private lenders. Don't miss this jam packed FREE online webinar! Sign up now to hold your spot! Rental properties can be one of the world's best ways to build wealth and passive income. However - if you don't have the right math going into a deal, you'll never get the right profit coming out of it. So level up your analyzing skills in this FREE webinar, hosted by Brandon Turner of the BiggerPockets Podcast! You'll learn how to accurately estimate the current/future value, income, expenses, repairs, cash flow, and more! How to Tap into Retirement Accounts - the Unlimited Source of Private Capital for Investing! If you poll a group of real estate investors on what they need right now in their business, 9 out of 10 of these investors would say “money” to do more deals! One of the best types of “private money” is Self-Directed IRAs. A recent statistic states that there are two TRILLION dollars held in retirement accounts; however, only 2% of these accounts are invested in real estate! In this free webinar, Matt Faircloth (Author of BP’s new book on Raising Private Capital) is going to teach you how to grow your portfolio with the power of Self-Directed IRAs! How to Make Your First $5,000/mo in Income Through Real Estate Investing! Sure, $5,000 is a fairly arbitrary number. It could be $3,000 or $7,000. But our guess is this: if you could generate an extra $5,000 per month, your life would be VERY different. So that's the goal of this webinar: to help you make a step by step plan to get to $5,000 per month in income from real estate! In this FREE online class, Brandon Turner (host of The BiggerPockets Podcast) will share with you THREE key strategies for getting to $5,000 per month in income - no matter what your financial picture looks like today. No deals? No money? No experience? No problem! Space is limited so sign up now and be prepared to have your life changed forever. Because - let's be honest - $5,000 per month can do that!